The chief minister of Bihar, Jitan Ram Manjhi said: “whatever be the ground reality, health department shows Bihar as being on top in immunisation.” This was during a programme organised by the State Health Society in Bihar in collaboration with Unicef, WHO and some NGOs last month to spread awareness about the pentavalent vaccine (to be launched this month), Before the chief minister’s speech, health officials, including health secretary Anand Kishore, claimed routine immunisation rose from 15 per cent in 2005 to 70 per cent and lauded ground health workers.The state immunisation officer N.K. 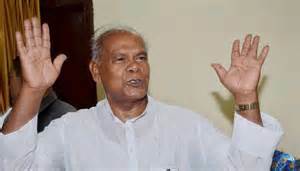 Sinha in an effort to correct the statement said that “the chief minister must have misunderstood that the state health department is claiming an increase in immunisation. “We are stating figures mentioned in Annual Health Survey, 2012, conducted by the Union government”.